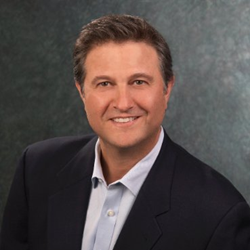 Greg Rokos, Co-Founder and Chief Strategy Officer of video interviewing pioneer GreenJobInterview, has announced he will be presenting in a deep dive session at HR West® 2016 on March 8 at 1:30pm PST. HR West® has long been a staple in the industry, drawing some of the brightest minds in the business. I’m honored to be included as one of their speakers. Co-Founder and Chief Strategy Officer of GreenJobInterview, Greg Rokos, announced today that he will be speaking at NCHRA’s HR West® 2016 in a deep dive session. His session, entitled “The Digital Interview – Engaging with Talent Like Never Before,” will be held on March 8, 2016, from 1:30pm to 3:00pm PST. This deep dive session will focus on the video interviewing revolution that is currently taking place in organizations across the globe. Attendees are encouraged to get to the session early as space will be limited. HR West® 2016 expects more than 650 HR Directors and executives over the course of a 2-day conference in the San Francisco Bay Area of California. Here, HR professionals will meet to discuss emerging HR issues and to learn more about solutions available. These solutions include HR technology such as video interviewing solutions and more. Greg’s speech is intended for an audience of senior practitioners who are already familiar with recruiting pains and who might be curious about solutions such as video interviewing technology. His presentation will include case studies, action items, and real world metrics to show an advanced HR audience how video interviewing technology will revolutionize their recruiting and hiring in 2016. An experienced speaker, Greg’s session promises to be engaging and informative for senior practitioners. Greg’s warm and open speaking style is sure to resonate with a crowd seeking more than just propaganda about video interviewing solutions. Attendees are encouraged to arrive early to obtain a great seat for this dynamic and engaging presentation. The Northern California HR Association (NCHRA) has been advancing organizations through human resources since 1960. We are dedicated to connecting human resources professionals with practice resources, leading California-specific training, legal and legislative developments, quality service providers, and each other-- forming career-long networks and partnerships. For more information, visit http://www.nchra.org.